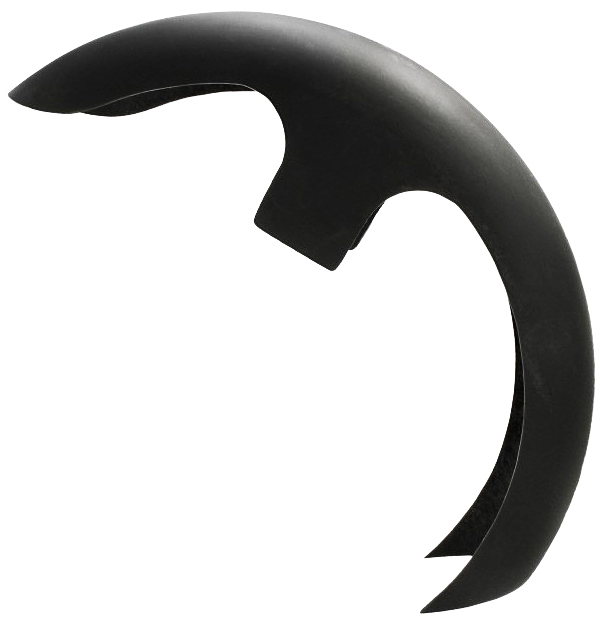 Looking for a front Harley wrap fender for your custom motorcycle or bagger? Our front wrap fenders for Harley & Baggers will look great on your custom bike. The Cut Throat is our twist on the traditional wrap style fender. We stretched our wrap fender and brought the back end closer to the ground and gave it a flat cut that’s parallel to the ground. This fender gives your bike subtle attitude that is still clean and stylish. The Cut Throat comes primed and ready to paint, which will save you money since no extra bodywork is required like metal fenders. Currently, this is only available for 23″ wheels. We are working on a 26″ version, so check back with us soon. This fender is available for 23 wheels.